For many people, both men and women, hair loss is a nightmare. However, it will be no longer their nightmare after they read our post on 5 tips to reduce hair loss. When your hair is dried, dyed, ironed and curled too much for a short time, it will be weakened by the heat and chemicals from these processes. It is very important to find a kind of shampoo together with conditioner that suits your hair best and has the ability to treat your hair loss. An unsuitable shampoo may make the problem of hair loss get worse and at the same time lead to some other scalp and hair problems. 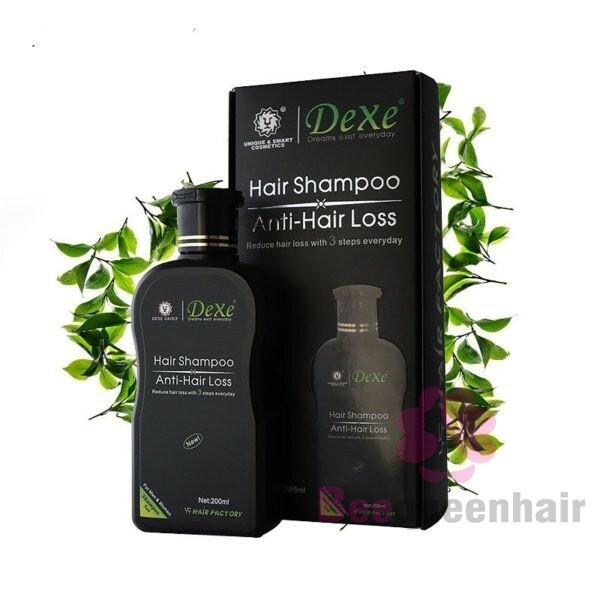 Because of a wide range of anti hair loss shampoos available in the market these days, customers find it difficult to find a reliable one. You should base on the following criteria to choose the best one for yourself: being derived from natural herbs, cleansing scalp without any damages, smoothening and strengthening hair. Hair experts recommend that you should only massage our scalp as well as your hair gently when shampooing instead of rubbing or scratching them. Furthermore, it is worth noting that combing the hair while it is still wet should be completely avoided because wet hair is more vulnerable than dry hair. Also, many people have the habit of scrubbing their hair with a towel after shampooing it. This is not recommended as the hair follicles’ protein layer will be negatively affected, which weakens the hair gradually. The weaker the hair is, the more easily it falls out. Obviously, your diet has a close relationship with your hair. 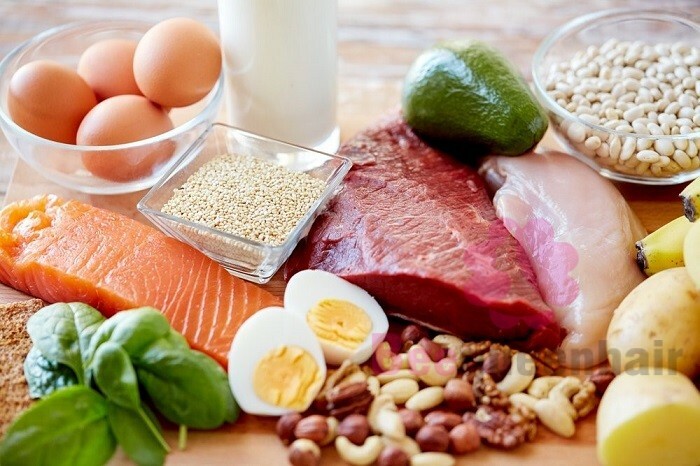 – Foods which are rich in protein can give you sleek and strong hair. They are eggs, milk, poultry, beans, etc. – Vitamin C which is available in vegetables and fruits is good for your health. So eat them more. – Omega-3 fatty acid is capable of maintaining the moisture and reducing hair loss. You can take an omega-3 fatty acid by eating some kinds of fishes like tuna, salmon and mackerel. – Vitamins B can be found in yeast, wheat, lentils, sunflower seeds, soybeans and so on. They can also strengthen the hair follicles. When you are put under a lot of pressure, fatigue and insomnia may come as a result. Your brain will not be given any rest at that time, so cells in your body will be not recovered and the body will not able to absorb the nutrients well. Consequently, your hair will become weaker. That is why a comfortable life without stress is needed as a means of preventing hair loss. According to experts, you should spend a little time each day meditating to remove stress and anxiety. The fact is that doing some meditations can contribute to regulating the flow of blood and balancing your mind. Hopefully, you will succeed with these tips that we have shared. Using hair extensions for the magnificence hair reason has turned out to be more famous in some ongoing years. Individuals typically incline toward in improving their appearance in better ways….